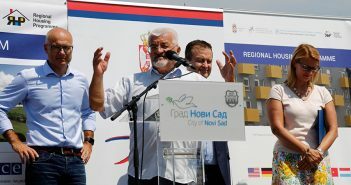 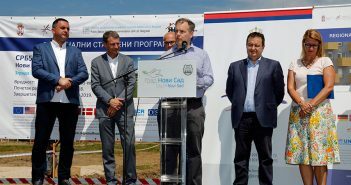 The Deputy Head of the EU Delegation to Serbia Mateja Norcic Stamcar layed today the foundation stone for 276 new apartments for refugee families. 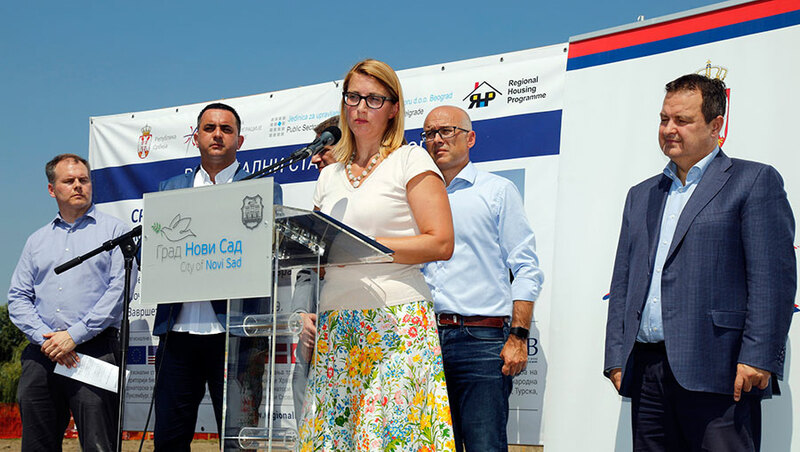 Since April 2013 housing solutions to some 11 300 households or an estimated 34 000 persons have been provided through this programme across the Western Balkans. Serbia has been awarded the largest share of grants for housing under this programme amounting to EUR 105 million or 57% of all approvals. 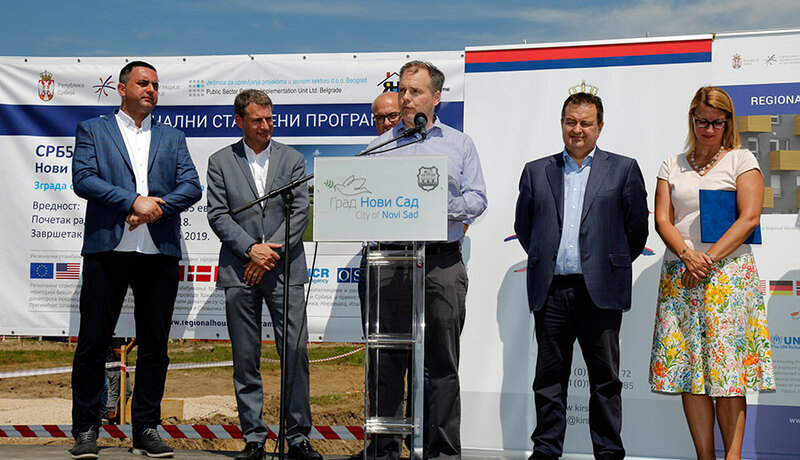 The European Commission is planning to contribute a further EUR 25 million from the IPA 2018 funds in favour of the RHP in Serbia. 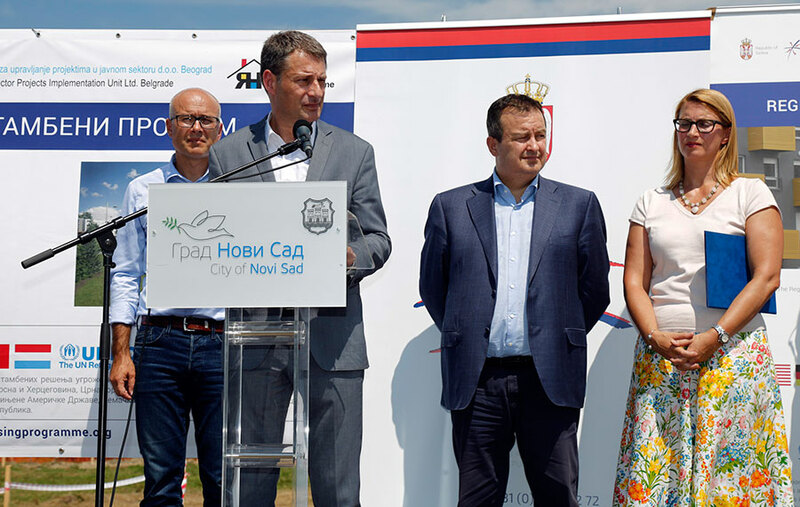 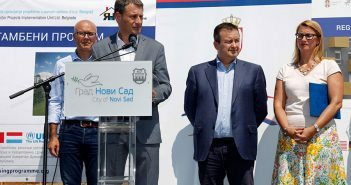 The ceremony was also attended by Deputy Prime Minister Ivica Dacic, the Mayor Of Novi Sad, Milos Vucevic, as well as the Serbian Commissioner for Refugees & Migrants Mr Vladimir Cucic, and representatives of the other donors.